Wiltshire is a county that is shrouded in mystery thanks to the likes of the stone circles at Stonehenge and Avebury, the famous white horses carved into the cliffs and the many ancient burial mounds. It is also well known for paranormal activity. The Harrow Inn is a beautiful sight with its pretty 7th century thatched roof. 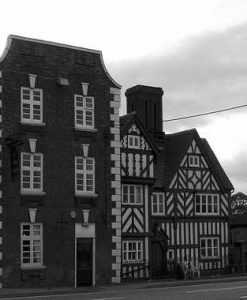 It dates back to 1637 when it began its life as a coaching inn and it is now a Grade II listed building. It is also home to some Wiltshire ghosts! Apparently The Harrow Inn is haunted by a pretty friendly spirit of a one time coachman. The story is that he actually crashed his coach right outside of the inn and killed not only himself, but also his passengers. His apparition is now seen with some regularity walking around the dining room, perhaps in search of his missing passengers! The Black Swan Hotel was built in the 18th century in the style of a traditional coaching inn. Like so many of these old inns, it is also said to be haunted. There have been plenty of occasions were both staff and guests of the hotel have seen the transparent figure of a woman in a long white flowing dress. On the occasions when guests have spotted her, they have ended up having to change rooms because they were so terrified – and with good reason, because she likes to float through solid walls! The sightings of this young woman in white are always fairly similar. The woman appears the the walls of rooms and then sits down for a short time, usually staring out of the window. She then gets up again and leaves by walking through the wall again! There have also been reports of paranormal activity in the cellar, where a face has been seen coming out of the wall! The village of Avebury is mostly well known for the mystery connected to the circle of megalithic stones that surrounds it, but it also has more than a few Wiltshire ghosts hanging around as well. For example, Avebury Manor, a beautiful Tudor mansion in the village, is said to be haunted by two spirits. The first of these two spirits is believed to be the ghost of Sir John Stawell who appears as a spectral Cavalier accompanied by ice cold temperatures and the smell of roses! 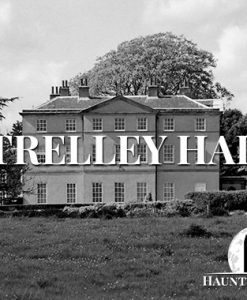 Stawell was a Royalist who was stripped of his possessions following the Civil War, including his beloved Avebury Manor! Needless to say he was devastated and never really got over it as is evidenced by the fact that he still seems to be hanging around! The other ghost also has ties to the Civil War, but this time in the form of a White Lady who is said to glide around the house and the gardens looking melancholy. It is believed that she is the spirit of a young woman who flung herself to her death from one of the upper windows of Avebury Manor after her Cavalier lover was killed in battle. Parsonage Wood is certainly a beautiful place to take a stroll with its lush foilage, majestic trees and bubbling streams. However, when night falls the woods become a much more eerie place! Those who have braved the woods after dark have come back armed ith tales of disembodied voices among the trees. Disturbingly, all of the accounts are similar and they do not tell of spirits simply having a chat, but rather the sounds of a ritual. The voices are said to chatter excitedly, getting louder and louder until they reach a fevered crescendo at which point the night is punctuated with a blood curdling scream which seems like it can only belong to someone in tremendous pain! After that there is silence! No-one knows what this relates to and few who have experienced it are keen to return to investigate! The Red Lion is located in the village of Avebury, inside a megalithic stone circle which makes the location pretty special already. It is no great surprise that the pub is considered to be one of the most haunted places in Wiltshire! The pretty thatched public house was built in the early part of the 1600s as a farmhouse. It then became a coaching inn around 1802. 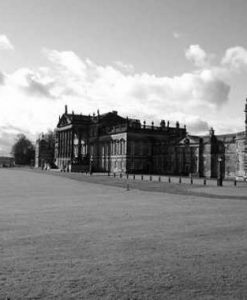 Today it is known mostly from its appearance on the first season of paranormal television show Most Haunted and for the six different ghosts that call this place home! Let’s start with the most famous of the ghostly residents – Florrie. Back in 1643, Florrie was married to a soldier who returned from the English Civil War only to find that she had been unfaithful! In a fit of jealous rage, he murdered his wife and disposed of her body by dumping it in the village well. Over the years, the pub has been expanded and the well is now inside the building and so is Florrie. She is said to haunt the pub and usually takes a particular dislike to men with beards since they remind her so much of her murderous husband! There have also been reports of a couple of children in the Private Room. Terrified witnesses report seeing the apparitions cowering in one corner. On the odd occasion, the children are also accompanied by a female apparition known as Beth. The Avenue Room is also said to be haunted by a pair of spirits – one male and one female, but nobody really seems to know who they are or why they are bound to The Red Lion. Some guests have also seen a ghostly carriage pulling up outside. Aside from the apparitions, there has also been a large amount of poltergeist activity in The Red Lion, especially in the dining room – specifically near the bay window! The Bear Hotel dates back to the 18th century and it is a must see stop on any tour of haunted Wiltshire. One of the most well known tales of unexpected happenings comes from 1965 when a barman heard loud voices coming out of a room that he was sure was empty After investigating, he found that he had been totally correct and the room was indeed completely empty! On another occasion, a maid from The Bear Hotel was outside and noticed a grey figure closing the curtains in a room she knew was unoccupied. She entered the hotel and went straight to the room to double check and again, she was correct and the room was empty! The Old Bell Hotel is believed to be the oldest hotel in Britain. 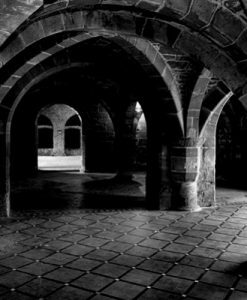 It is also said to be one of the most haunted places in Wiltshire. 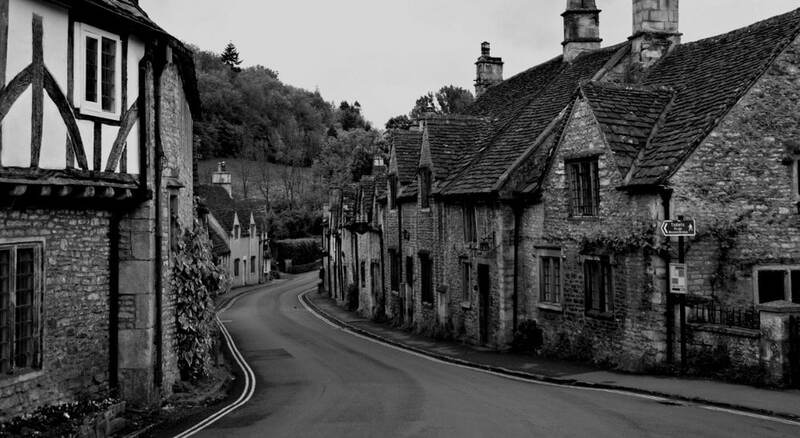 It is a very pretty spot in the the Cotswolds, but like so many old buildings it also has a much darker, more mysterious side courtesy of the Grey Lady and the spooky occurrences that she is alleged to be behind! There could be a very simple reason why The Old Bell Hotel is so haunted, and that is because it stands right next to the ruins of Malmesbury Abbey and it is believed that the hotel’s East wing is actually built on top of a section of the Abbey’s cemetery. Rumour has it that there are even a number of sarcophagi concealed underneath the hotel bar. This certainly seems to fit with the pattern of hauntings at The Old Bell Hotel since it is the bar area and the East wing that are said to be the most active areas of the building! The most famous ghost linked to The Old Bell Hotel is the Grey Lady. She is frequently sighted in the James Ody room by staff and guests alike. She is usually described as looking sad and a little lost as she glides silently around the hotel. Legend has it that if you stand in the James Ody room and chant ‘Grey Lady, Grey Lady, Grey Lady’ then she will appear in the room! Guests staying in The Danvers Room have also reported paranormal activity, this time in the form of having their belongings thrown around the room and their bedding ripped of during the night by some unseen force! In the Foe Room, guests have been locked out of their room by a large wardrobe being pushed against the door from the inside!